On this professionally guided tour from Montreal visit the UNESCO site of Old Quebec, Montmorency Falls Park, and more. Hotel pickup included! Enjoy this magnificent tour of this 400 year old city, which was founded in 1608 by Samuel de Champlain on the banks of the Saint Lawrence river. Québec City had become the center of the new universe, from the Arctic to the Mississippi Delta. Once arrived, a professional licensed tourist guide from Pro-Guide Québec will take you on a 45 minute (approx.) walking tour through Place Royale, the birthplace of French civilization in North America. Then, board the Gray Line motorcoach and make your way to Montmorency Falls for a spectacular photo opportunity! You will return to Old Québec through the Saint John’s gate of the only fortified city in North America. Drive along Grande Allée: The “Champs Élysées” of Québec City. Discover the ambiance of the sidewalk restaurants, cafés and european architecture that attract big crowds. See famous landmarks such as the Plains of Abraham — Famous for the battle between the French and the British that took place in 1759. 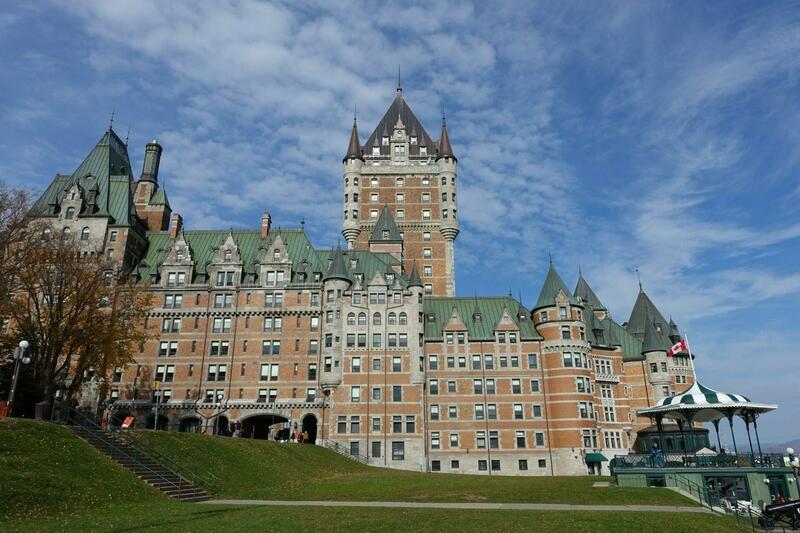 The Citadel, a National Historic Site, Québec Parliament, the Price building and much more! After the comprehensive tour, immerse yourself in Petit Champlain and enjoy 3 hours (approx.) of free time where you can have lunch, shop and explore the joie de vivre the area has to offer. Very beautiful city and the falls were amazing. Too short time and a far sight of the Falls. Very nice trip! The bus was confortable, Quebec is a beautifull City, however I would like to have more me to visit it. Also, the guide suggest us a very good restaurant... Great food in Quebec ! Drive & driver we’re good; except our driver nearly left us behind.Our Quebec City local guide was very good!